Colin Smithey is an associate in the Sacramento office of Lewis Brisbois and is a member of the General Liability Practice. Colin received a B.A., with high honors, from the University of California, Berkeley. He earned his J.D. from UCLA School of Law, where he was Managing Editor of the UCLA Journal of International Law and Foreign Affairs. Before joining Lewis Brisbois, Colin worked at the Los Angeles City Attorney's Office and practiced insurance defense at firms located in the Los Angeles and Sacramento regions. 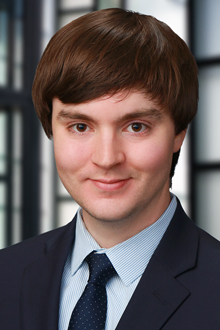 Colin has gained valuable experience in all aspects of civil litigation, including successfully drafting and arguing dispositive motions such as motions for summary judgment. During law school, he served as a Judicial Extern to the Honorable Victor E. Chavez of the Superior Court of Los Angeles County, and as a Certified Law Student in the Marin County District Attorney's Office. He was admitted to the California Bar Association in February 2014.